The Rivers Office Park offers a rare opportunity to acquire an impressive reversionary, fully refurbished office park located in prestigious North West London. Acre approached Creativeworld as they know we are an agency with a wealth of experience working in the property market. 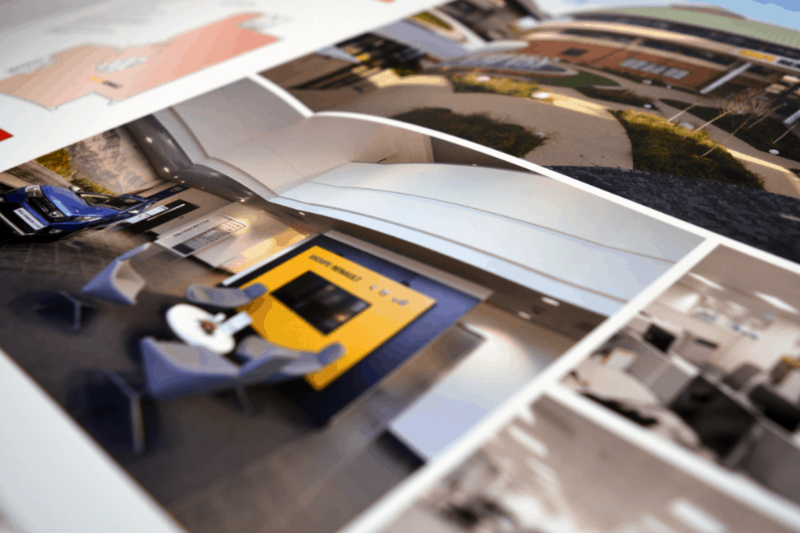 With this in mind, Acre were confident that Creativeworld’s talented in house design studio could create a striking new brochure to market the high-spec office park. 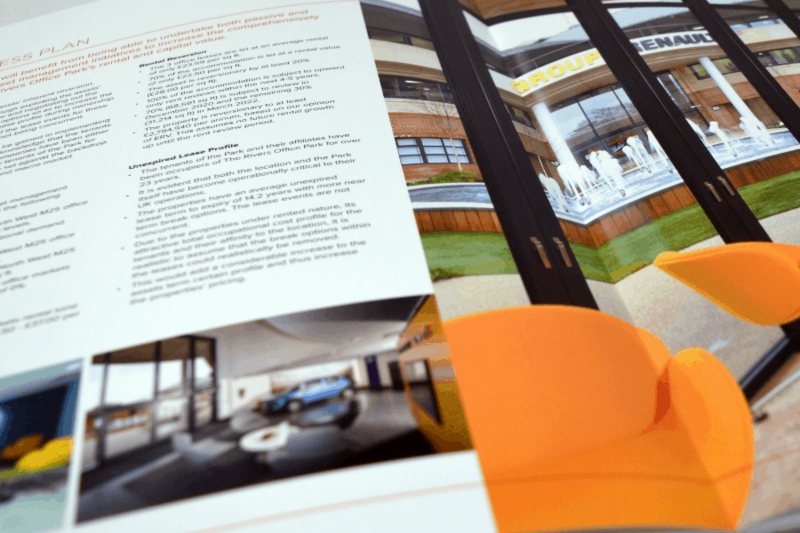 The team designed a bespoke 20-page brochure complete with a soft touch laminate and spot uv to the cover which gives the brochure a quality finish. 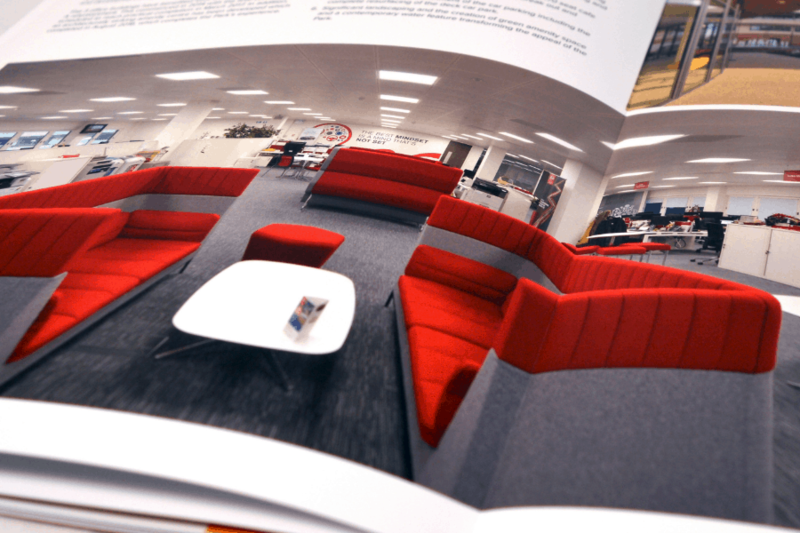 The team decided on a layflat binding which allows the use of images across the centre of the brochure without losing any of the impact.